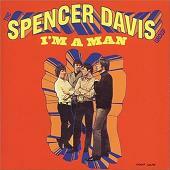 This British R&B outfit formed in 1963 when Spencer Davis (guitar, vocals) joined forces with brothers Stevie (keyboards, guitar, vocals) and Muff Winwood (bass, vocals), and Peter York (drums), who were playing as separate acts at the Golden Eagle pub in Birmingham. Davis was playing acoustic country blues while the other three were honing their chops as the Muff-Woody Jazz Band. They were originally generically called the Rhythm and Blues Quartette until Muff came up with the Spencer Davis Group because Davis like doing press interviews which the other members preferred not to take part in, so he was labeled the perceived front man. It should also be noted that Stevie was considered a musical prodigy, being only 15 years old at the time. In early 1964, the band was discovered playing in a local club by Island Records executive Chris Blackwell who would become their producer. Because Island was a very small company at the time, Blackwell signed them onto the Fontana label for record distribution. They released their first 45 ('Dimples' b/w 'Sittin' And Thinkin'') in the spring of '64, which flopped, but it didn't dissuade them from forging on. Their next three singles ('I Can't Stand It', 'Every Little Bit Hurts' and 'Strong Love') all became minor hits, giving the outfit the steady jump starts they needed to continue. They then hit it big with their next two singles ('Keep On Running' and 'Somebody Help Me'), which both became #1 smashes in the U.K. There next single ('When I Come Home') was another strong Top 20 hit reaching the #12 U.K. spot. In the fall of 1966, they released the Stevie penned single 'Give Me Some Lovin'', which hit the #2 spot in the U.K. and #9 in the U.S., and has become a full-fledged classic. That year they also starred in the cheeky British comedy film 'The Ghost Goes Gear'. Their next single ('I’m A Man') was issued in early 1967, peaked at #9 in the U.K., #10 in the U.S. and has also become a classic rock staple. At the height of their popularity, the group was thrown for a loop however when Stevie decided to leave the fold to form his own band Traffic. Muff also left abruptly to become a behind the scenes A&R man for Island Records. In an attempt to fill in the huge hole left by the Winwood brothers, Davis and York brought in Eddie Hardin (keyboards, vocals) and ex-Fleur De Lys member Phil Sawyer (guitar), but they were never able to recapture the magic of the original lineup. In the latter half of 1967, two more U.K. Top 40 singles followed with 'Time Seller' (#30) and 'Mr. Second Class' (#35). In early 1968, the band collaborated with Traffic, releasing the soundtrack to the film 'Here We Go 'Round The Mulberry Bush'. Phil Sawyer then left and was replaced by ex-After Tea member Ray Fenwick (guitar, vocals), followed by the release of the LP 'With Their New Face On' in the spring of 1968. 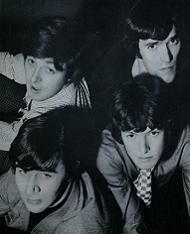 Another single ('After Tea') soon followed, which proved to be the group's last minor hit. Following another single ('Short Change') in late '68, Hardin and York quit to form the duo Hardin & York and were replaced by Dee Murray (bass) and Dave Hynes (drums). Nigel Olsson (drums) then replaced Hynes and this lineup issued the U.S. only LP 'Funky' in 1970 before finally breaking up. The group reunited in 1973 with Davis, Fenwick, Hardin, York, and newcomer Charlie McCracken (bass). This incarnation of the band issued the LPs 'Gluggo' (1973) and 'Living In A Back Street' (1974) before once again disbanding. Davis continued working in the music business however, producing some jazz-oriented albums in the late 1970s and early 1980s. 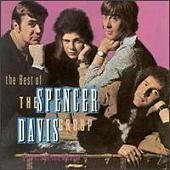 The Spencer Davis Group reunited again in 2006 and continues to tour to this day. This compilation CD contains most of the songs by this artist that are played on TWOS.